The use of holograms as security features against counterfeiting on ID documents is “still going strong” 65 years after it was first invented, a new report highlights. 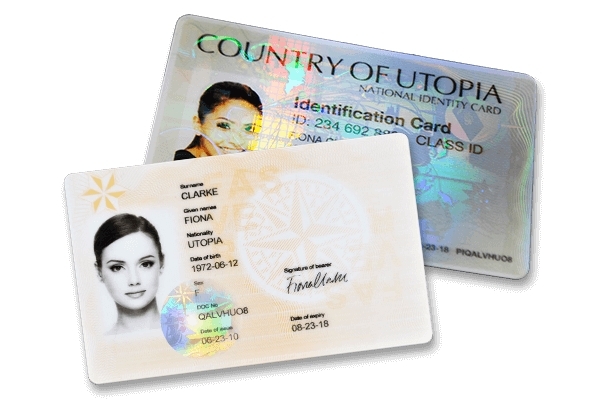 Despite comments suggesting “the hologram is dead”, the report by ITW Security Division says the hologram “is still widely used today and continues to be one of the main security features chosen by governments and government agencies in the fight against counterfeiters and organised crime gangs operating in the multi-million-dollar trade of counterfeit or illicit passports, driving licenses, national ID cards and other personal ID documents”. The three-dimensional images formed by the interference of light beams became increasingly popular in the 1980s as an authentication device used on credit cards and later moved to document protection, software, tax stamps and currency. The paper says the development of new holographic techniques, as well as changes in how holograms have been applied over the years, shows they continue to be relevant to today’s market. In terms of competitive advantages, the paper says this has been aided by the creation of “increasingly impressive optical effects”, such as parallax, which appear 3D and change form when viewed from different positions. Other value-added features, including the ability to record stereograms of photographic images or computer-generated models, have also added to the hologram’s longevity. The evidence of the hologram’s success is particularly seen in the banknote arena. By the end of 2015, a total of 280 different denominations globally were using holograms, 132 used a patch hologram, 122 a stripe hologram, and 26 a holographic thread, according to the report. Furthermore, the report notes that the hologram is the main security feature of choice to secure critical variable data on passports and ID Cards. Referencing Keesing Reference Systems estimates, the report says that between 2010 and 2016, 81 per cent of all secure documents issued contained one or more optically variable devices (OVDs). “With its use in 81 per cent of ID Documents and 280 different banknote denominations, it is certainly not a dying technology and will continue to remain strong for many years to come,” the report says. Holograms generally have three levels of security. The first level, overt, is the visible feature instantly verified by the naked eye, such as the kinetic movement and rainbow colouring. The second level, covert, requires a trained examiner with a verification tool to identify the features, such as invisible UV ink or hidden text. The third level refers to forensic features that are only discernible using complex laboratory equipment, such as the analysis of optical structures that have deliberately been manipulated to create a unique fingerprint or very fine Nanotext. However, the report calls for the industry to “not rest on our laurels” and to continually seek to improve the technology to ensure continued market growth and appeal.